All About You: Can depression be beaten? We say yes! According to the findings from the Office for National Statistics (ONS), nearly one-fifth of adults in the UK experience anxiety or depression, with the conditions affecting a higher proportion of women than men. While we all may get sad or down occasionally, someone with depression constantly experiences extreme sadness or desperation, which can last for weeks, months or even years. 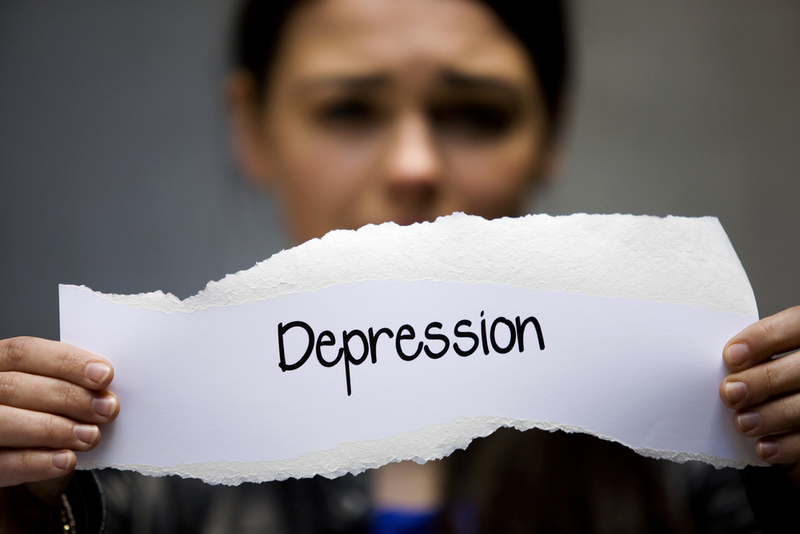 Depression is an extremely personal condition, which is caused by various reasons. If you have a history of depression in your family, you could also be at risk of developing the disorder. One can develop depression because of a certain situation, such as the death of a friend or family member, financial difficulties, losing one's job or lack of success in one's career. These are all legitimate triggers for developing depression, but there are some who develop the disorder for no apparent reason. While there is no medical examination to diagnose depression, some characteristics of this disease are: sadness, loss of interest in things you used to love, lack of energy and difficulty to concentrate, insomnia or excess sleep, digestion problems, feelings of desperation, sexual problems - such as loss of libido - pain, a change in appetite - leading to weight loss or gain - suicidal thoughts or desire to self-mutilate, suicide attempts and feeling empty or incomplete, even after great achievements. The first step of fighting against depression is recognising that you need help and that you don’t need to go through this problem alone. We believe that, as it happened with Chrissy B, there is life after depression. Contrary to popular belief, we believe and have seen that it CAN be beat! Are you suffering from depression and are looking for a way out? Opening up and talking to people who have overcome it is the first step towards beating depression. Our friendly mentors believe that your life can change for the better and they are available to listen to you and help you take steps towards beating depression. Join us every Sunday at 5pm, at the Rainbow Theatre, at 232 Seven Sisters Road, London, N4 3NX! I suffered from depression also, but for me, I don't think there was any particular trigger that I could pin point, since I could not understand why I was crying myself to sleep at night, why I had that empty void deep down and why I felt so low leading to the desire to end my own life... I was failing in life, including my university studies due to depression. I would'nt even take care of myself. Things turned around when I began attending the 'Succeed in Life Helpcentre' in Birmingham, Bullring, that I realised I could beat depression, and I did! !